Skylight leak? No, probably not. I'm convinced that most moisture issues with skylights are condensation issues that are misdiagnosed as leaks. To start with, skylights are notorious for leaks among roofers. 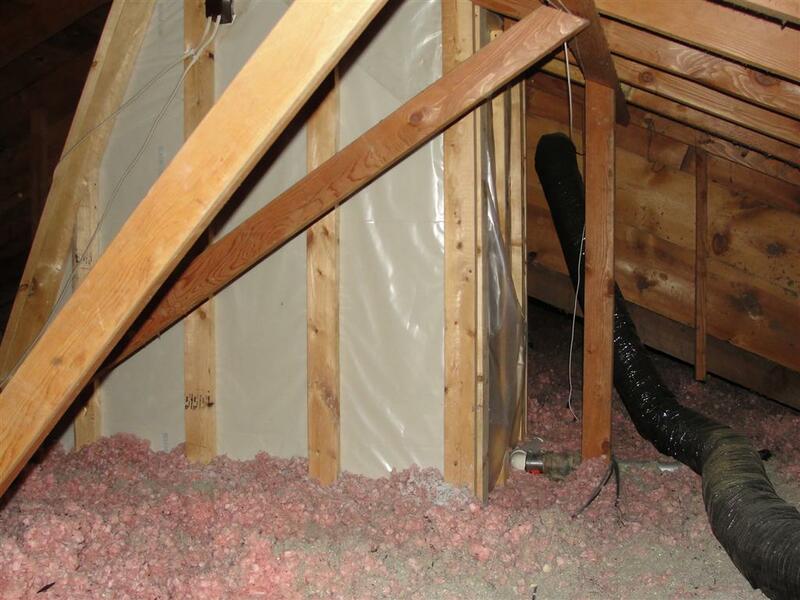 I've heard roofers say "There are two types of skylights: those that leak, and those that are going to leak." I think they're usually referring to the old bubble-type skylights like the one pictured below. How could that thing possibly not leak? I don't feel the same way about other modern skylights, however. 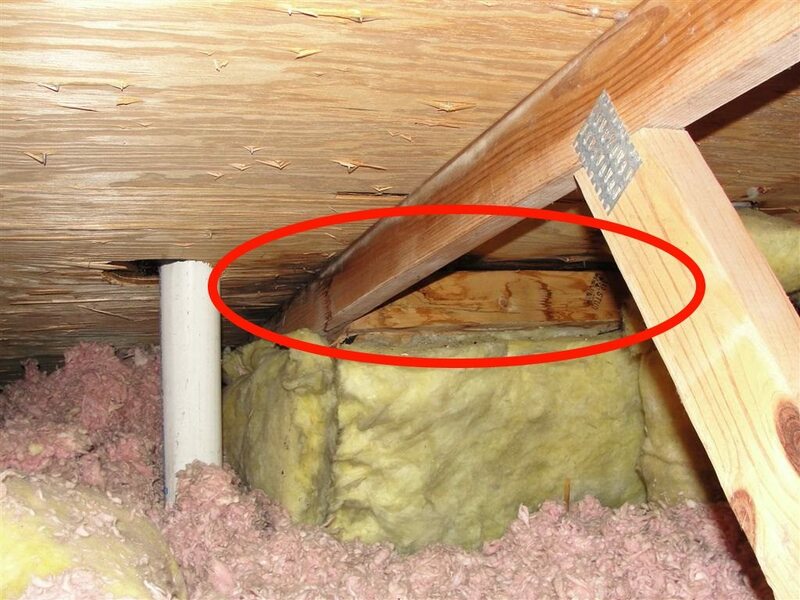 In all of my years of inspecting, I've only found a few skylights that leaked, and they were inferior products that were poorly installed, such as the one pictured above. 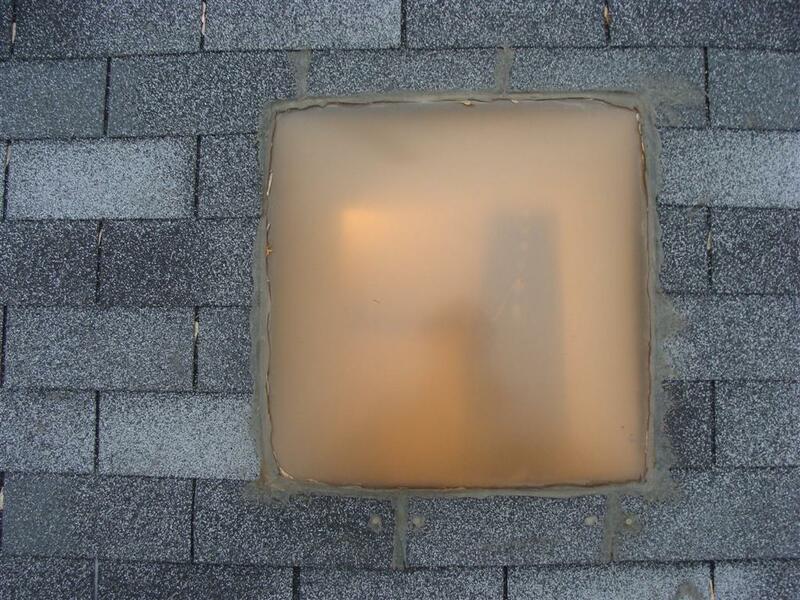 On the other hand, I've found hundreds of skylights with condensation problems. These show up as black stains on the roof sheathing in the attic, and as stained drywall on the finished side of the skylight shaft. 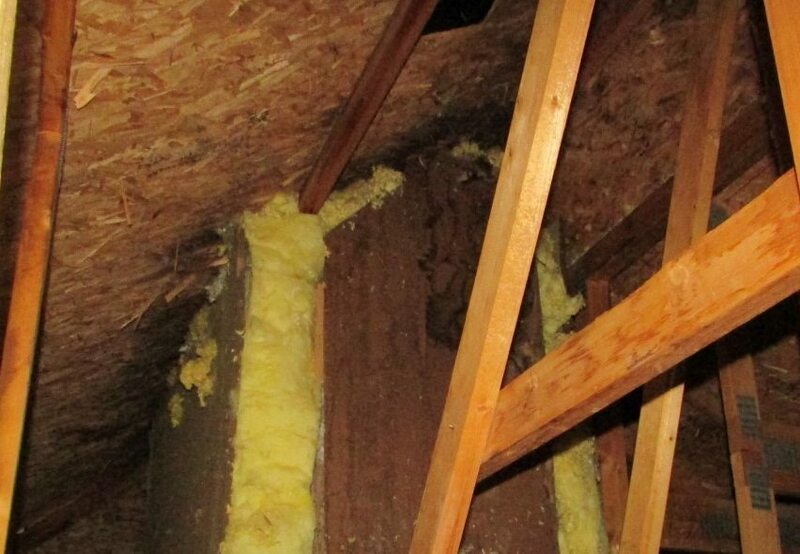 These are not skylight issues; these are skylight insulation issues. 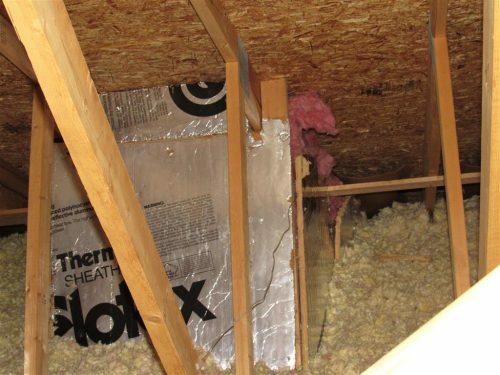 This is a detail that is almost never done in a manner that will perform well, despite the fact that proper insulation methods have been known for a long time. When fiberglass batts are used to insulate around a skylight shaft, the insulation should be in contact with a surface on all six sides. This is where it goes wrong. 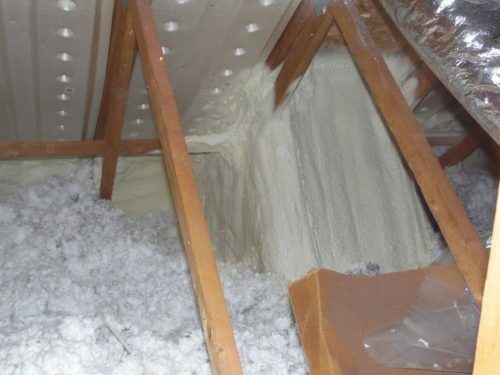 In most cases, the fiberglass batts are open to the attic side, which allows for air movement and excessive energy loss. This is what causes condensation on the house side of the skylight shaft. 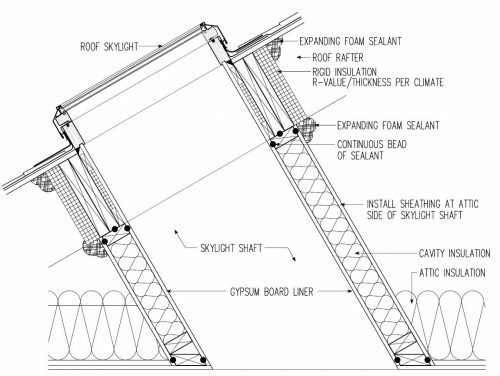 The often-missed detail in that diagram is the sheathing on the attic side of the skylight shaft. 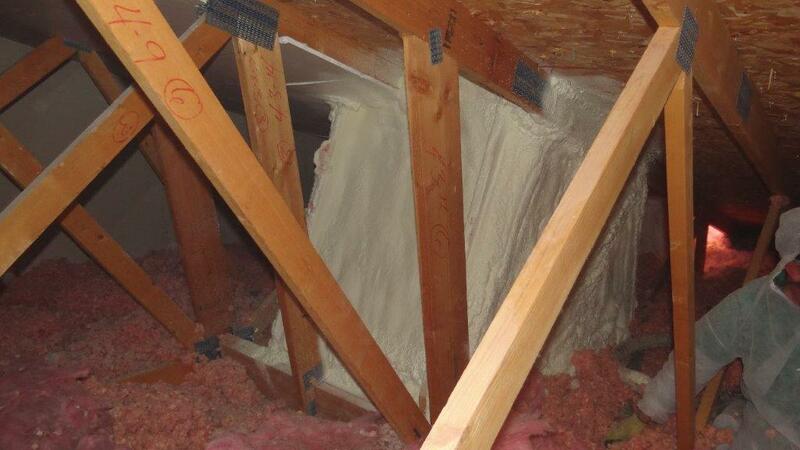 The best material to use as sheathing is rigid foam insulation. Not only is it light and easy to work with, but it will help to increase the insulation value of the shaft. I've probably seen a handful of skylight shafts that looked like that, but no more. This is a rare bird. 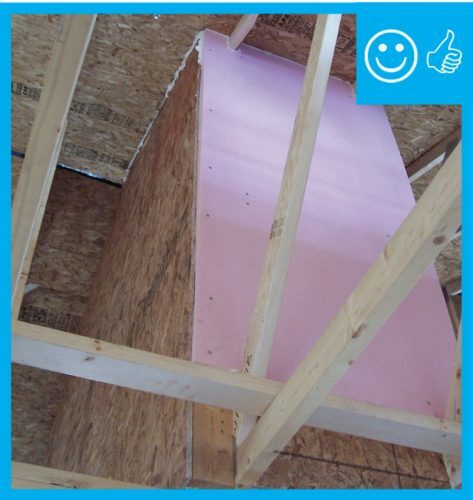 Here's an attempt that comes close, but there was no air sealing performed. As I said, however, this is the old-school way of doing things. 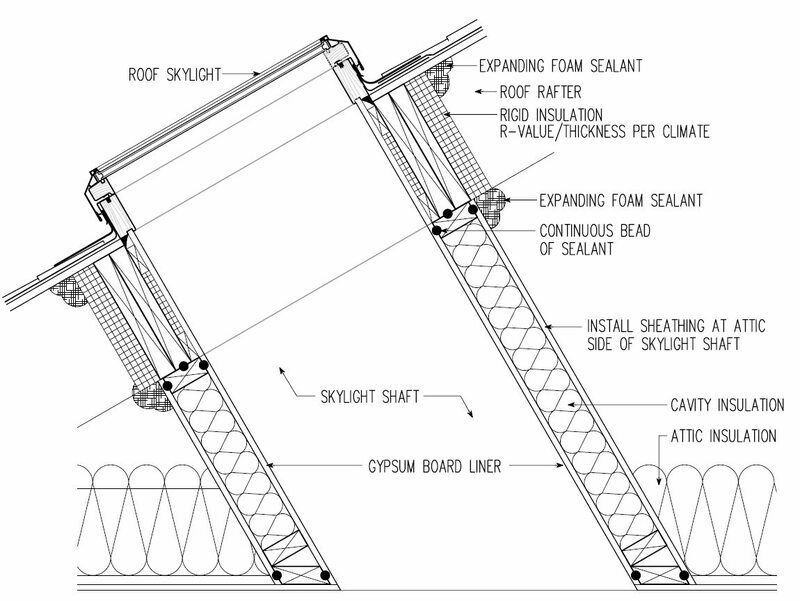 The new way to insulate skylight shafts is to simply spray-foam the whole thing. This is far less labor-intensive, and there's a lot less that can go wrong. The photos below are courtesy of the fine folks at Atticus Insulation (greatest name ever). A poorly insulated skylight shaft means an increased potential for condensation problems. 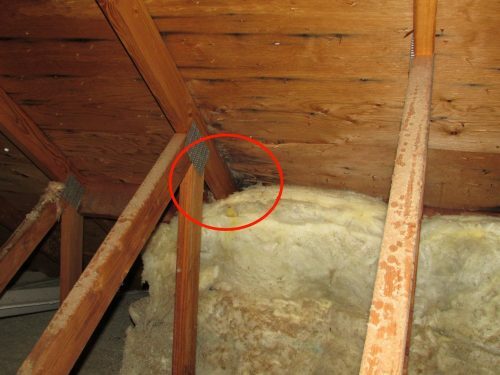 Additionally, this increases the potential for ice dams because of the excessive heat loss that occurs around the skylight shaft. 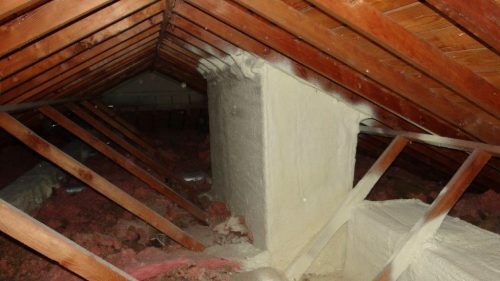 To have this detail corrected, the best option is to work with a good insulation contractor to have the whole thing spray-foamed. 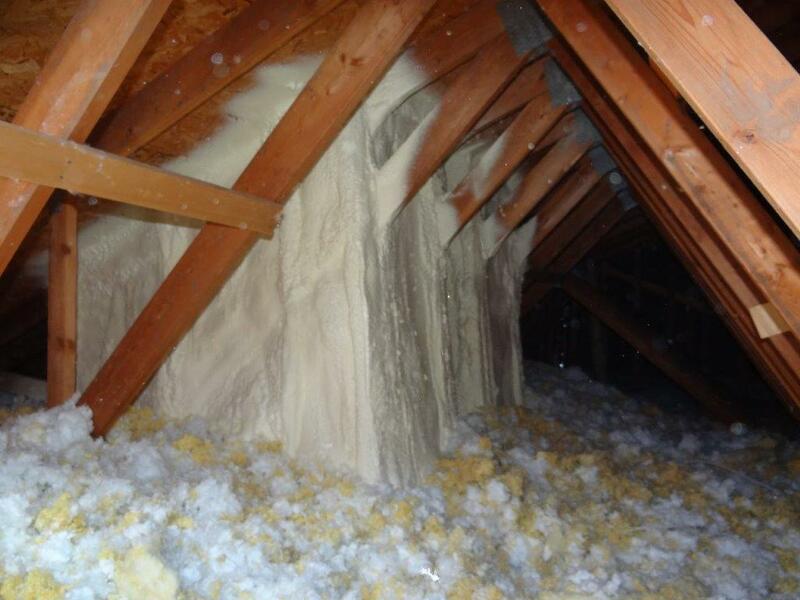 I chatted about this topic with two insulation contractors here in the Twin Cities who both do excellent work. One of them was Atticus Insulation, and the other was Houle Insulation. Neither one of them would do anything but spray-foam a skylight shaft. Amen to that.